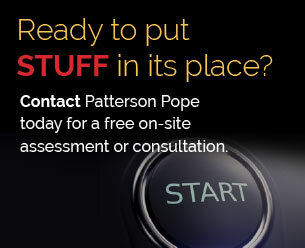 Patterson Pope is the go-to company for mobile shelving and high density storage solutions in Orlando, Florida. When professionals need a partner to help with the organization and storage matters of their workplace, they come to us. Although Orlando’s nickname is “The City Beautiful”, there is nothing beautiful about an office that is in complete disarray. That’s why we’re here. We want to help you find the most effective way to keep your operations running at full speed. 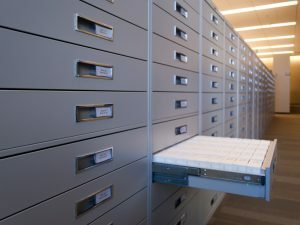 Our custom solutions include: High-Density Shelving, Mobile Shelving, Laminate Cabinets, Stainless Steel Cabinets, Gun Lockers, Evidence Lockers, Rotary Files, Modular Casework, Carousels and Lifts, Static Shelving, Modular Walls, and Weapon Racks. Contact Us to Learn More about our Customized Solutions! We provide high density storage solutions to a variety of industries throughout Orlando and central Florida. Below is a list of just a few different services we provide for our clients. The day-to-day operations of Orlano offices are hectic. Having an effective high density storage system is crucial to staying organized and streamlined. We offer mobile shelving and cabinets and even mobile carts that address these types of needs. These products come with a variety of options so that we can accommodate each specific customer. If there is one thing all industrial warehouses have in common, it is the vertical space that remains empty and unused. With our industrial vertical carousels and lifts, we have developed ways to take advantage of all that extra room. These systems are able to lift and move even the heaviest types of storage units, including bins and crates. We work with every level of school — from elementary schools to universities — in order to keep them focused on the more important job at task; namely, the education of our future generations. We have designed a range of file systems and lockers that keep teachers and administrators on track. Paperwork in government buildings accumulates fast. That is why local, state and federal buildings in the Orlando area depend on us to keep it stored in a way that is easy to retrieve. Our modular drawer cabinets and rotary file cabinets are perfect for this job. 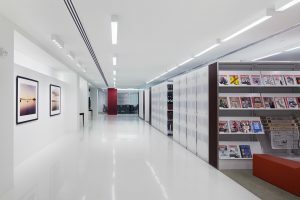 We also offer evidence lockers and high-density mobile shelving and static shelving for the use of government officials. Storage issues for the medical industry range from small prescriptions to important records, x-ray films and patient supplies. 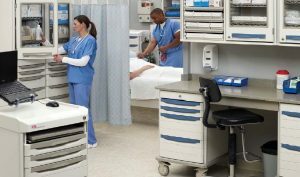 At Patterson Pope, we are able to provide organization solutions for all types of healthcare items. In addition to the industries listed above, we also work with libraries, museums, public safety buildings and athletic facilities in the Orlando area. 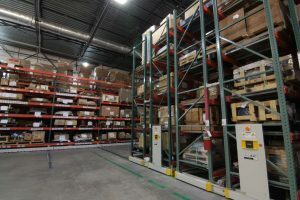 The professional team of mobile shelving and high density storage experts at Patterson Pope proudly serves the greater Orlando area, including Daytona Beach, Titusville, Winter Park, Kissimmee, Leesburg, Sanford, Longwood, and other surrounding areas.